Are you experiencing lower back pain, rotator cuff pain or symptoms of a pinched nerve? You don’t have to live a life of pan. At Ramsey Sport and Spine, we believe that chiropractic care is essential to your overall wellness. Chiropractic is a science based on the knowledge that optimal health relies on a well-functioning nervous system. With a focus on the spine, our chiropractor can adjust your spine to reduce pressure on the nervous system, helping it to function correctly. And when your nervous system works better, your body as a whole works better. Our licensed chiropractor nurtures ongoing wellness by improving spine and joint function to help you return to a healthier, more active lifestyle. 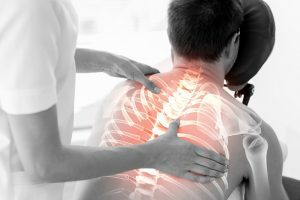 Here, we offer the latest techniques including IDD, ART, spinal manipulation/adjustment and lumbar cervical traction. Regular adjustments can provide preventative health benefits, keeping your body balanced and functioning at its best. Everyone, from adolescents to active seniors, can benefit from regular chiropractic care. If you’d like to discover the power of the best chiropractor in Ramsey NJ, call 201-327-1400 today.